A homeless man receives the haunting news that the man who murdered both of his parents will shortly be released from prison thanks to a plea deal, and he knows what he must do: return home and seek vengeance. With this plot in full swing I expected a very predictable revenge film that would culminate in the expected showdown, but I couldn't have been more wrong. Not that this showdown doesn't happen, it does. I will tell you that flat out and not be concerned about revealing spoilers, and you know why? Because this all happens in the first act of the film, with surprises in store for the remainder that build the tension beautifully and invested me heavily in the journey of a man with a violent yet understandable goal. I say understandable, but I don't know how I would react if I were to be presented with this unfortunate scenario. I hope to God I never have to know what it would be like to face someone who destroyed the entire makeup of my family, but if I was forced to guess what direction I would go if I were put in the exact circumstances of the Dwight (Macon Blair), the lead of the film Blue Ruin, I believe I would want any and every person who participated in the original senseless tragedy to suffer in the same way my loved ones did. The fact that I believe this about myself could explain why I connected with Dwight's mission immediately and was rooting for his success. Blue Ruin is the second film from writer/director Jeremy Saulnier, the first being a 2007 release titled Murder Party that I must be honest, I know absolutely nothing about. The fact that this film is so immaculately crafted is an incredible testament to the talent of Saulnier, and what really took me by surprise was just how smart the screenplay for the film is. 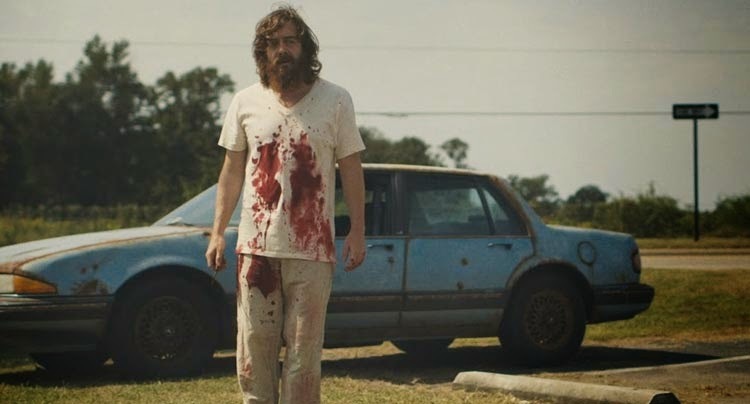 At times Blue Ruin is a brutally violent work, but it never seemed like it was done without reason, never overkill. Those brief moments of horrific bloodshed were jarring and upsetting to see, but in a way that felt realistic considering the circumstances. Everything about this film seems to have been well thought out and delivered with intelligence, which is unexpected for a filmmaker with such a limited track record. As the film came closer and closer to finishing, for some reason I had a thought go through my head that I wasn't going to enjoy the way it would end. I had no evidence to assist in this thought, perhaps it was just a product of a permanent pessimism that resides in my mind. 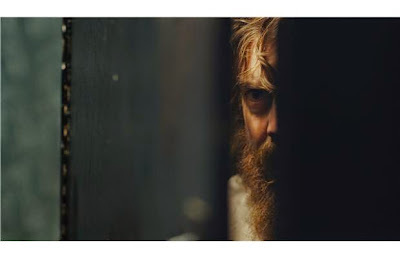 I was completely, totally wrong, as the final ten or so minutes of Blue Ruin knocked my socks off. The film had me on the edge of my seat during the first 95 percent of its running time, and with that finale sequence I couldn't stop myself from falling off. A special film that I will surely remember and revisit.